This is the story of someone who hit the RESET button and moved abroad, just to pursue a dream. Christian Martin Schäfer is a Swiss born actor who took the courageous step across the Swiss border. He is currently pursuing his acting career in Berlin, the German capital. But things did not always go as smooth as they appear. Now 37 years old, the twist in Christian’s story is that he was already thirty when he decided to leave everything in Switzerland behind. Even though he was lacking an acting education, he still decided to pursue his dream and conquer an already saturated market. It seemed like a crazy idea at the time. But some years later, Christian is already looking back at some pretty impressive achievements. I wanted to learn more about this ambitious personality and decided to meet Christian for coffee during his days off in Zürich. Anina: You are Swiss, you are an actor, and you took the step that many aspiring actors are thinking and dreaming about: You moved to Berlin, Germany, away from Switzerland, to make your dream of being an actor come true. How come? Christian: Until the age of thirty, I worked as an advertising copywriter for different Swiss agencies. During that time, my desire of becoming an actor started to grow bigger and bigger. I started to go to castings, took acting workshops, joined an improvisation group and invested every free day to star in several short films. I even faked some doctor appointments to go to castings and used up all my holidays just to be able to be part of a film. And why Berlin? When I took the decision of giving up my fixed income for an artist’s life, it was clear to me that I had to move to another country. It’s difficult to make a living in Switzerland by only acting in films. For me, there were only two possible alternatives to Switzerland: Los Angeles or Berlin. Around then, I received three phone calls from Berlin: A friend told me that he needed someone to take over his apartment. Secondly there was Eva who would become my first acting agent in Berlin. She was convinced of my acting skills and told me that if I would come to Berlin, she would want to be my agent. And lastly, my former Creative Director Jan called me to let me know that he needed copy writers in Berlin. But guess what? I went to L.A. *laughs* Of course, I stepped through these open doors and moved to Big B. How was your start in Berlin? You did not know anybody and besides that, everyone seems to be an aspiring actor in Berlin. I guess that the competition must be pretty tough? Thanks to my agent Eva, I was soon able to go to some castings, also for the big players in the film industry. I quickly got the same feedback from all of them. Firstly: You are talented. Secondly: You need training - especially on the German language. Unfortunately, Swiss German and German are two very different pairs of shoes and my Swiss accent was still way too strong. I took the very best acting workshops and vocal coaches that I could find and spent my entire money on forming myself into a professional actor. Two years later, I had managed to improve my German pronunciation so well that even local Germans did not recognize me as a foreigner. I was ready to launch into the casting race all over again. 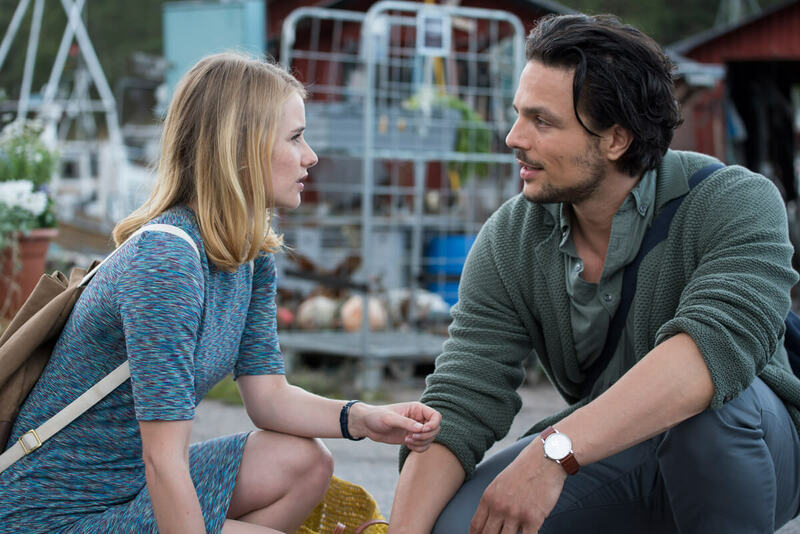 You are just about to celebrate the biggest achievement of your career: The leading role in a new Inga Lindström movie (Kochbuch der Liebe). And now, you are conquering the hearts of your female audience. What's your character about? Thank you. This really is my biggest success so far. My character was Bille, a nice, young architect, who did not really live his life to the fullest. At one point, he meets this younger woman who shows him that life is more about enjoying moments and good things than about building a career. Thanks to this encounter, he also realizes that his fifteen year relationship is not what he deeply wished for and that he had gotten used to it as opposed to really being in love with his fiancé. I won’t tell you any more about the story: You can find the movie in the ZDF Mediathek and see for yourself. How did it feel to be a Swiss actor on a German set? With my accent being a real German one, no one ever noticed that I am Swiss. Hence, I was not labelled as the “Swiss” on the set. I am basically just one of them, working normally side by side. Sometimes there are funny situations, for example when my mother calls me and I pick up the phone in Swiss German. Nobody understands a word! What were the reactions to the movie? Do you mean whether I got some hot offers from fans? Yes, I did. At some point I even thought: Wow, women are not really as discrete as they always pretend to be. *laughs* But, well, besides the tempting offers, I got so many incredibly nice reactions from people who watched the film and really, really liked it. Honestly, I was pretty touched by all those reactions. I never expected that many. 4.5 million people watched this film, which is definitely not bad for a Swiss actor. So, admittedly, I am a little bit proud of that. Well, you've earned it! But, honestly: Will it be Berlin forever? Or are you also thinking about coming back to Zürich? Oh, well, I definitely go through difficult periods when I just want to quit acting and come back to Zürich and restart my old life again. But, most of the time, something happens that opens up my heart for acting and for Berlin all over again. I think it would look different if I had kids. 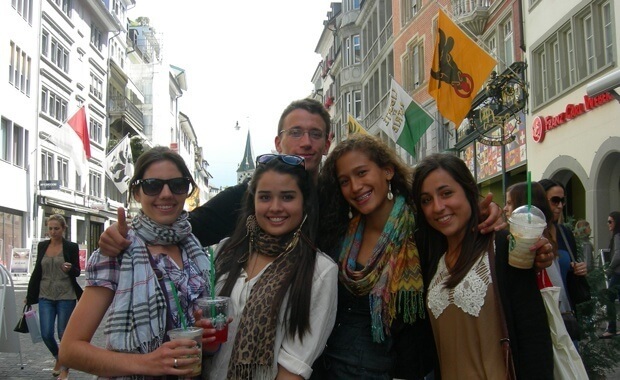 I would want them to attend school in Zürich. But for now, this is not about to happen anytime soon. Time will tell, right? What do you miss most about Switzerland? My mom and my friends. I try to be in Zürich as much as possible. I love spending time with my beloved Swiss friends and family. I am part of a really cool group of friends. We have been sticking together for over twenty years now. Just imagine: I have known some of them for more than thirty years! Do you have any further projects? What will we see or hear from you next? My biggest project for now is my own film production company and my work as a director. With my partner, an outstanding director of photography, we create and produce commercials and image films for all kinds of companies. We always aim for quality output, even if the budgets are sometimes small. Also, there are three movies in the post production phase and a lot of potential projects we might be shooting this or next year. But I believe in not talking too much about potential projects – it attracts bad luck. Do you have any recommendations for aspiring actors from Switzerland? The very basic and most important part of my success was getting rid of my Swiss accent. I am not at all ashamed of it and I love speaking Swiss German. But with a Swiss accent you may only be cast for roles that are Swiss characters - and there are not too many of these. Other than that, simply move to Berlin and enjoy this great city. Berlin is full of young people who want to change the world together. I think it is a very good time to be living there. But as I said, I guess at some point, I will be coming back to Zürich. Deep inside, I am looking forward to the "homecoming" moment - already now. Now, learn more about how Swiss German is different from Standard German.